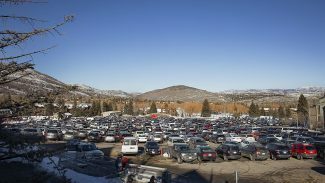 Vail Resorts announced Thursday it has reached an agreement to sell the Park City Mountain Resort parking lots to a development firm. Vail Resorts, the Colorado-based owner of Park City Mountain Resort, recently took an early but important step as it considers options for major development at the base of PCMR. The company said in a statement requested by The Park Record it has started a search for a developer. Vail Resorts has enlisted a commercial real estate firm called CBRE Group, Inc. and a second firm called IMI Worldwide Properties to assist. Kristin Kenney Williams, the vice president of mountain community affairs for Vail Resorts, said CBRE Group, Inc. and IMI Worldwide Properties will "seek qualified developers interested in purchasing the land parcels and partnering with us to carry out a vision for the base area." "That vision for an enhanced base area includes city and community priorities: more parking, traffic and transit improvements, employee housing and significant tax revenue generation for the school district and the city," Williams said. It was not immediately clear what sort of timeline Vail Resorts will pursue. It has been aggressive since acquiring PCMR in 2014, merging the property with the former Canyons Resort via a gondola and making a series of other upgrades. The development of the base of PCMR, located along Lowell Avenue and Empire Avenue, would be among the most ambitious projects in Park City, likely encompassing residences, commercial square footage, parking and transit improvements. The previous owners of the resort in the 1990s secured an overall approval from City Hall for development at the base area. The Marriott's MountainSide and the Legacy Lodge, long since built, were two elements of the 1990s approval. 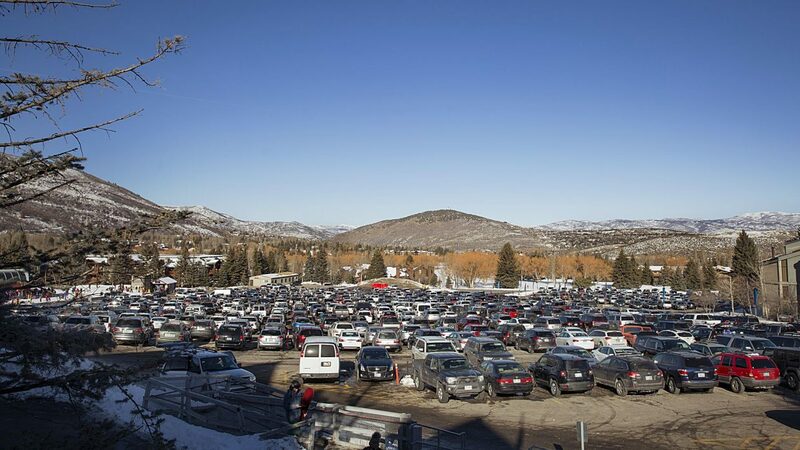 The broader approval, though, also includes development rights attached to the main PCMR parking lot, the lower lot and the parking area sometimes referred to as the Silver King lot. Vail Resorts said the land totals just more than 10 acres. "Vail Resorts has shifted away from being a developer and is focused on our core – operations of our resorts and base areas," Kenney Williams said. 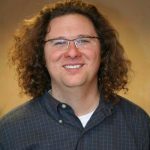 "Instead of developing prime parcels of Vail Resorts' land ourselves, we're looking for third parties who can lend their expertise in development by working with our communities and local governments. We have a vested interest in ensuring that projects enhance the entire resort community and carefully consider our guests and local residents." A range of people in Park City will almost certainly closely follow any discussions about development plans at the base of PCMR. Businesses and property owners at the Resort Center will likely wonder about impacts of a development on what has traditionally been the primary entrance to PCMR while people with real estate bordering the base will probably have interest in learning about the effects of a substantial development so close to their own places. There could also be questions about the amount of development under consideration that would be linked in some fashion to PCMR. The proposed Treasure project along the Town Lift is sizable in both its current iteration as well as a scaled-back version dependent on City Hall acquiring a 50 percent stake in the project. The King's Crown development along Lowell Avenue is also proposed on the PCMR slopes. The three projects are under separate ownership and will be reviewed independently, but, seen together, they represent a significant potential increase in development tied to PCMR. The former owners of PCMR won the overall approval at the base in the 1990s as it appeared Park City, as a mountain destination, was poised to compete with the elite names in the industry. It was shortly before PCMR and the wider community of Park City were set to host upward of half of the events of the 2002 Winter Olympics and during one of the area's growth booms. PCMR moved quickly on the Marriott's MountainSide and the Legacy Lodge, but there has been little discussion publicly about the remaining development rights over the years. It was expected, though, Vail Resorts would not wait indefinitely to move forward with a project. Development has long been seen as a lucrative segment of the mountain resort industry. The City Hall discussions about a project, anticipated to be primarily before the Park City Planning Commission, could dwell on issues like the prospects of increased traffic, the height of the proposed buildings and the layout of the development.